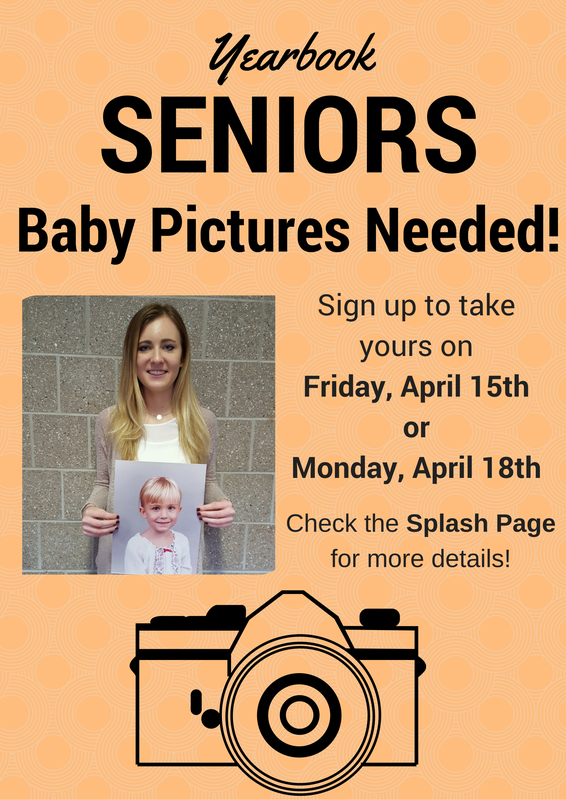 It’s time to submit your baby photos for the senior section of the yearbook! If you would like to be featured on the spread, please sign up to bring in a hard copy of your 8X10 photo on either Friday, April 15th or Monday, April 18th. You will be photographed holding up the photo, so please dress accordingly. There are only 26 spots available. Once you have signed up you will receive a confirmation email with details regarding location and time. Please provide us with an email that you check regularly as we will be expecting an RSVP from you. If you have any questions please contact the yearbook staff at nvyearbook2360@gmail.com. Click here to sign up. Remember space is limited.